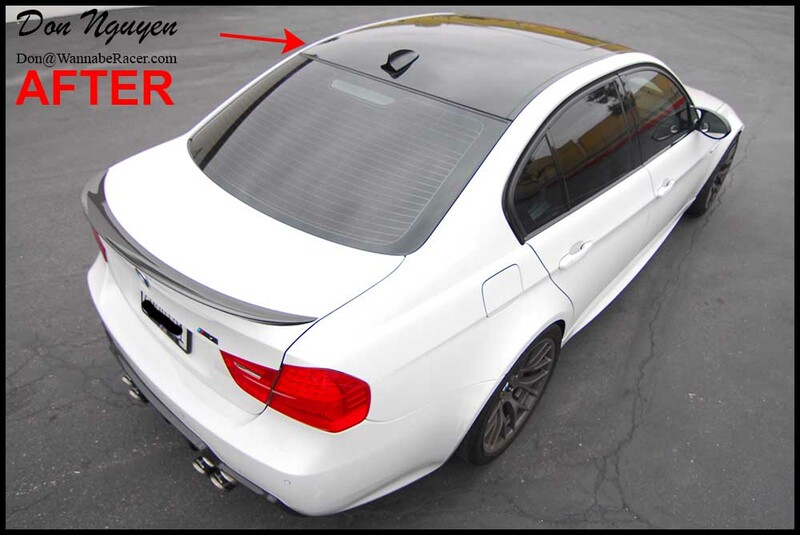 Most newer M3s come with carbon fiber roofs, but unfortunately for the E90 M3 sedans or the E92 M3s with sunroofs, they come with a standard body colored roof. 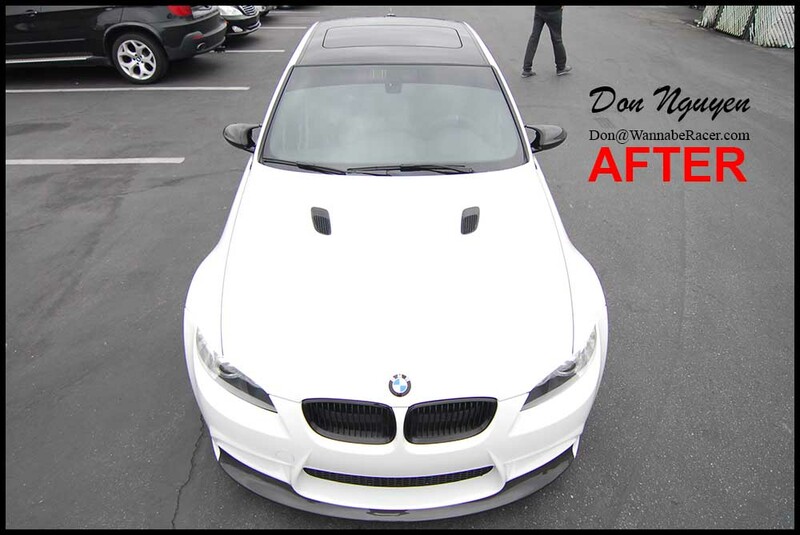 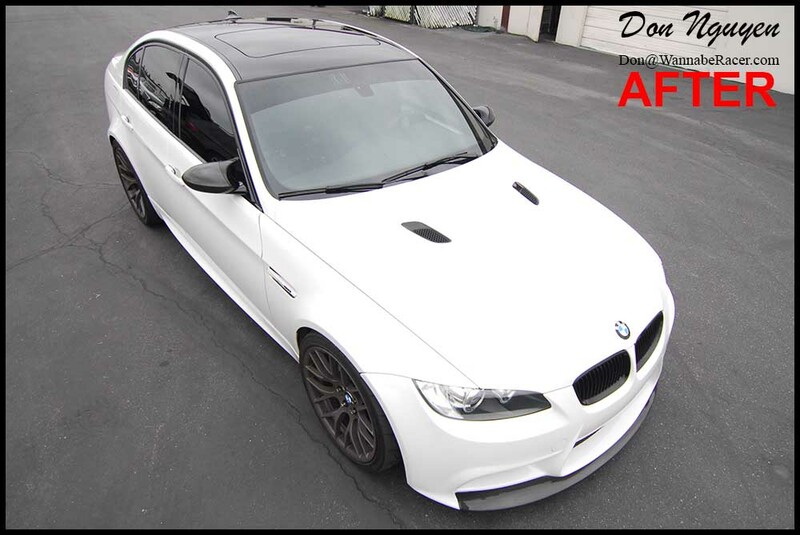 The owner of this white BMW E90 M3 sedan had me vinyl wrap the top of his roof with my gloss black vinyl material. 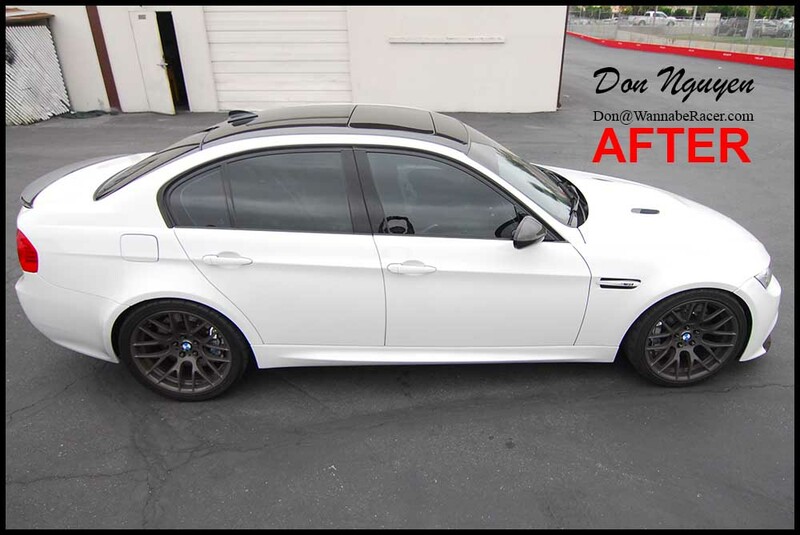 The gloss black roof really changed the look of this M3 completely. 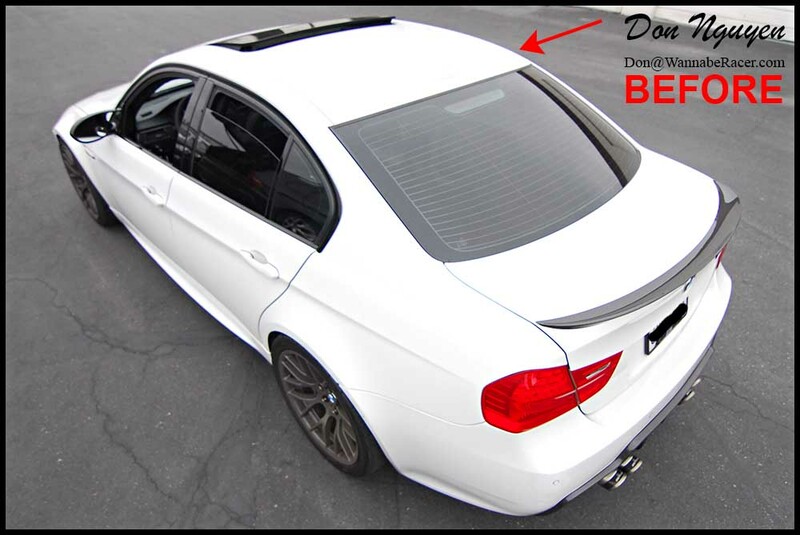 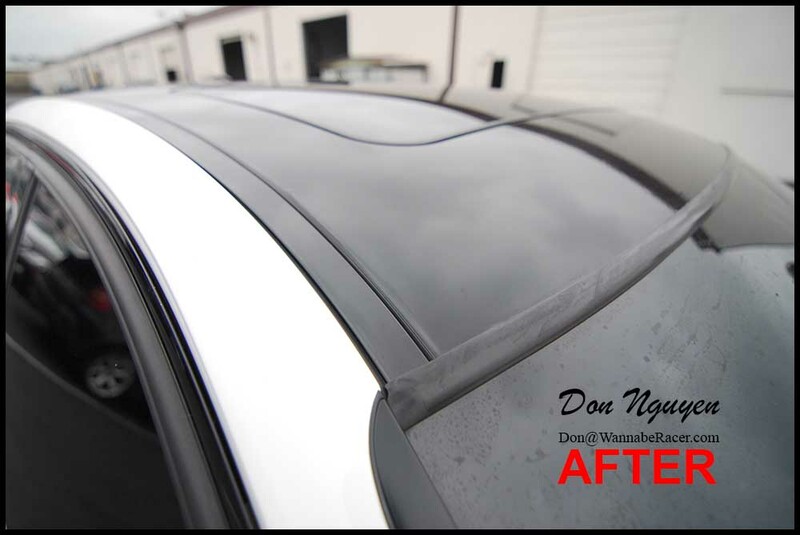 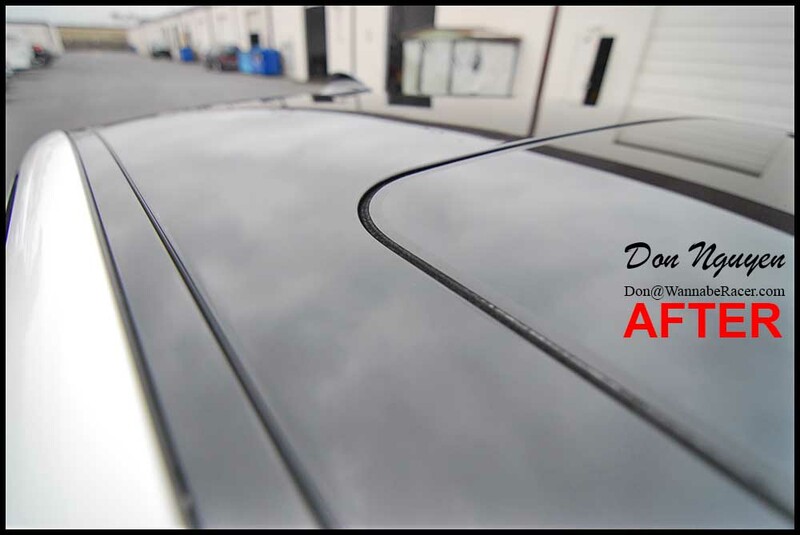 The gloss black vinyl roof car wrap also went well with the other already black accents on the car, such as the rear spoiler, front splitters, mirrors, etc. 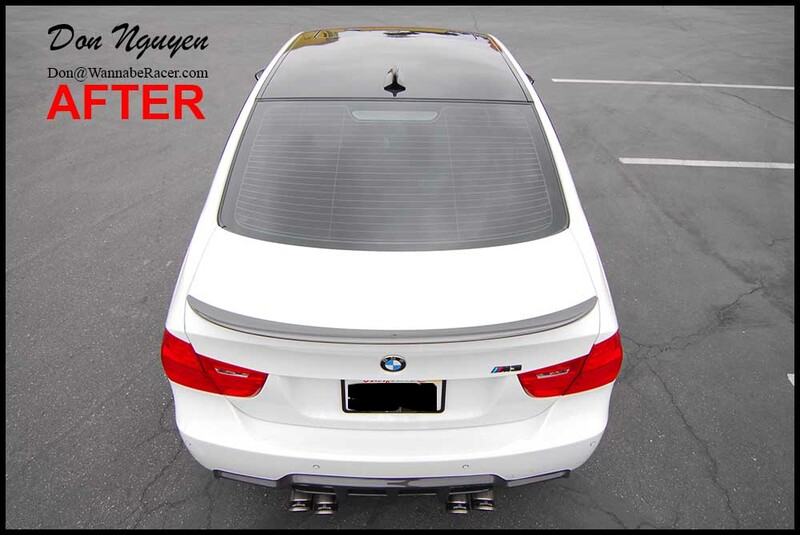 The owner of this car was in Newport Beach and came out to me in Anaheim Hills / Orange County to have the vinyl work done.